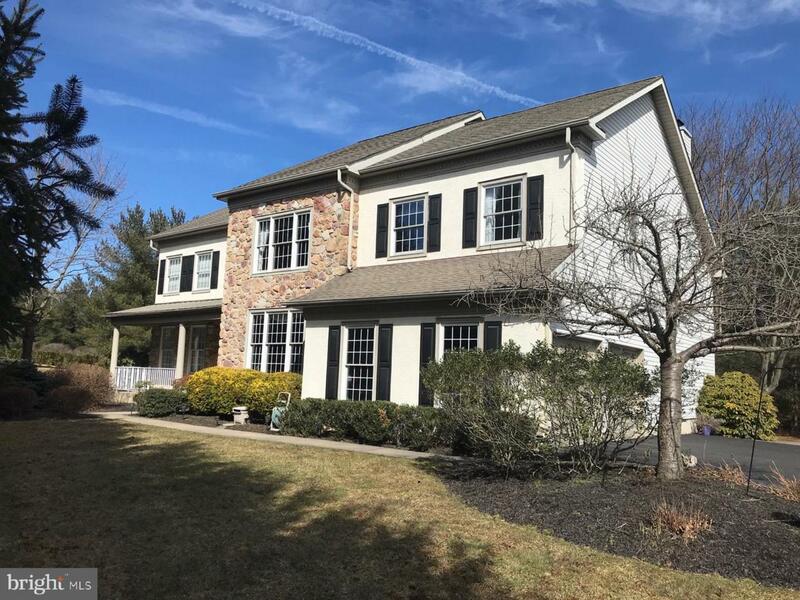 The Good Life awaits you in this stunning 4 bed 2 1/2 bath stone colonial located on a graceful private cul d sac in the popular Talamore Country Club with ample guest parking. 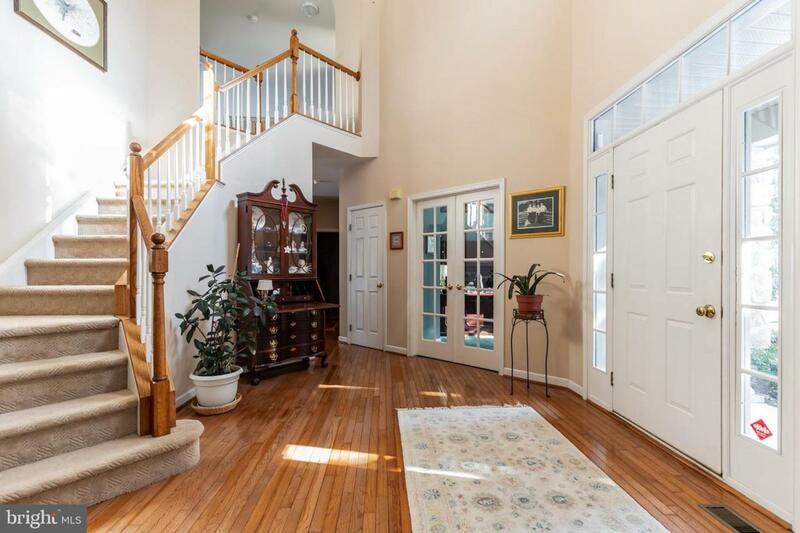 Greet your guests on the expanded covered front porch and enter into the impressive 2 story hardwood foyer with a turned staircase where you can view the spacious living room and dining room with hardwood floors and crown molding. This bright, open and airy residence has a grand 10~ granite island in the kitchen with tile backsplash, 42~ cherry cabinetry, a media area, pantry and a spacious breakfast room with an exit out to the huge cedar deck with maintenance free vinyl rails and where you can relax and enjoy your morning coffee or BBQ with family. 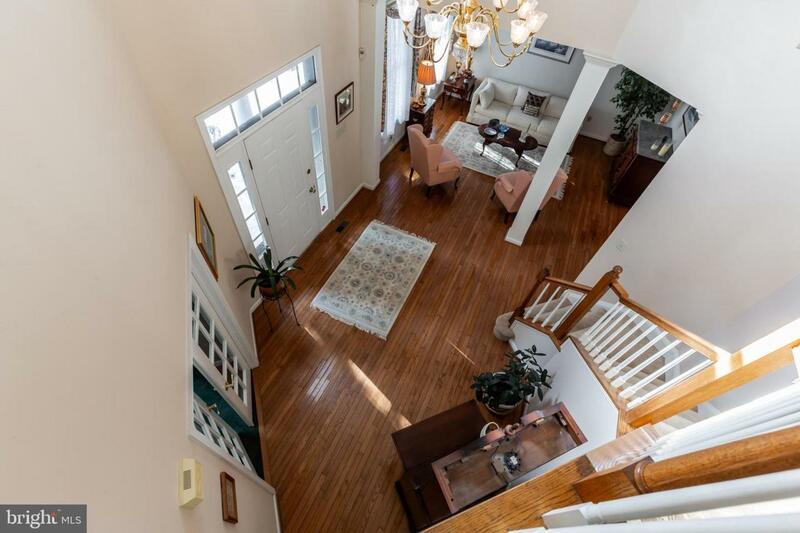 The kitchen is open to the 2+ story family room with a floor to ceiling gas stone fireplace surrounded by bookcase, 3 skylights, A double row of windows and a ceiling fan. The glass French doors to a private office/library is a plus. The laundry room/mud room, powder and 2 car garage complete the first floor. The second floor has a huge main bedroom with a sitting area grand size walk in closet space, ceramic tile bath with steeping tub, his and her vanities. There is a cozy reading alcove overlooking the family room The other 3 bedrooms are bright and spacious an there is a large hall bath with double sinks. There is a replaced 2 zone gas HVAC system and a very large hot water heater. The basement is finished with an office area and tv area and there is a large storage room. The wide backyard is a great spot to play football lots of room to run. 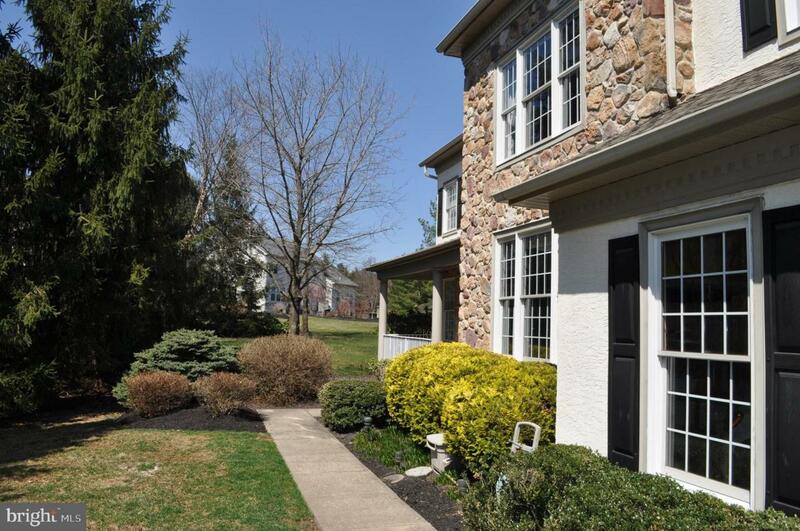 The golf course is has one of the most scenic views and you get 6 free rounds of golf, fitness center with a wonderful in house trainer, the outdoor pool and spa is beautiful and there is outdoor dining in summer, there are tennis courts,a beautiful clubhouse with restaurants what a great community to live in. This lot does not have a golf course behind it. An added plus is the invisible dog fence.